Dr. Palombi is a pharmacist and a professor at the University of Minnesota College of Pharmacy - Duluth Campus. She does a variety of work in the area of substance abuse prevention and intervention, and has shown particular leadership in training people on how to use Naloxone (Narcan) to save people experiencing an opioid overdose. She's also played a key role in distributing Naloxone kits in rural areas. 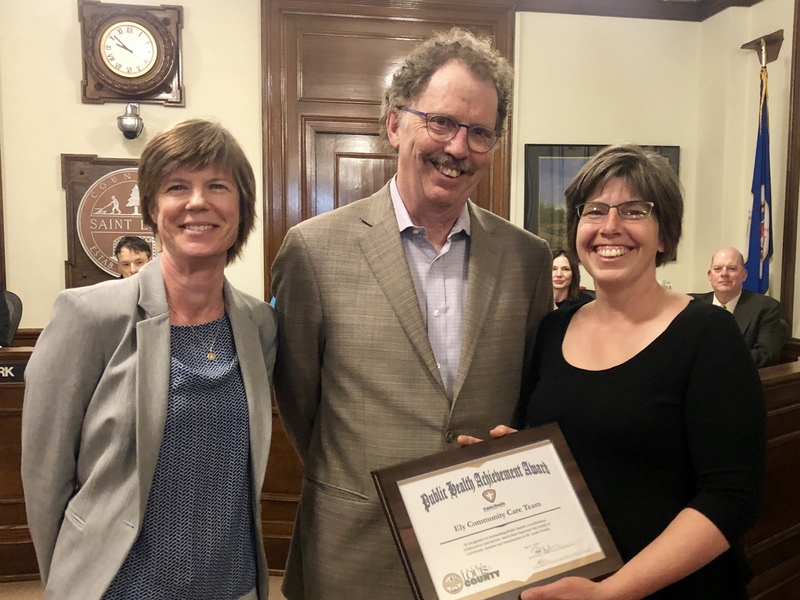 "We are so impressed with and thankful for the work of this year's honorees," said Amy Westbrook, director of Public Health for St. Louis County. "We had an especially strong group of nominees this year and it really highlights the variety of health needs faced by our county residents that can only be addressed with the help of great community partners." in partnership with other community agencies and professionals. 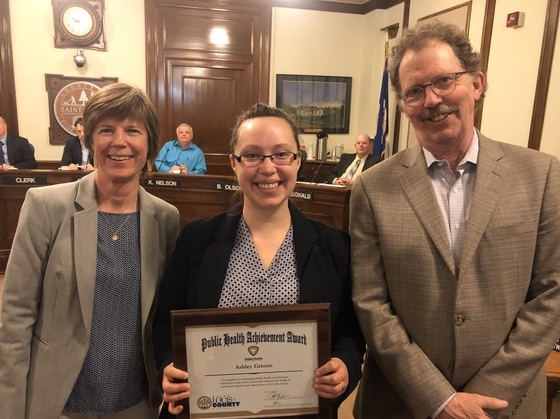 The St. Louis County Board presented Dr. Laura Palombi, a pharmacist and professor at the University of Minnesota College of Pharmacy - Duluth Campus, with a 2019 Public Health Achievment Award. Dr. Palombi (center) is shown with Amy Westbrook, director of Public Health, and Commissioner Frank Jewell, who chairs the Health and Human Service Committee. The St. Louis County Board presented Dementia Friendly Duluth with a 2019 Public Health Achievment Award. 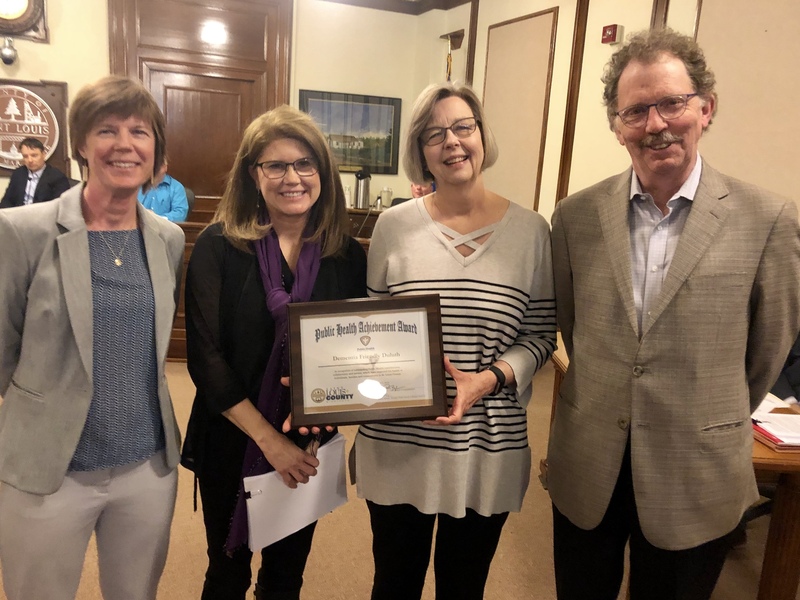 Shown L-R are Amy Westbrook, director of Public Health; Mimi Stender and Cindy Conkins of Dementia Friendly Duluth; and Commissioner Frank Jewell, who chairs the Health and Human Service Committee. The St. Louis County Board presented Ashley Grimm, who leads youth programming at the Damiano Center and serves on several boards and commissions,, with a 2019 Public Health Achievment Award. 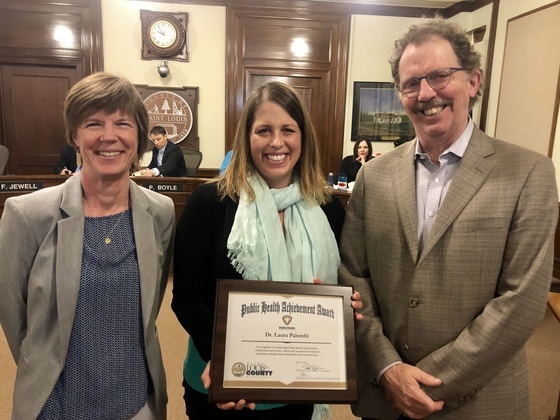 Grimm (center) is shown with Amy Westbrook, director of Public Health, and Commissioner Frank Jewell, who chairs the Health and Human Service Committee. 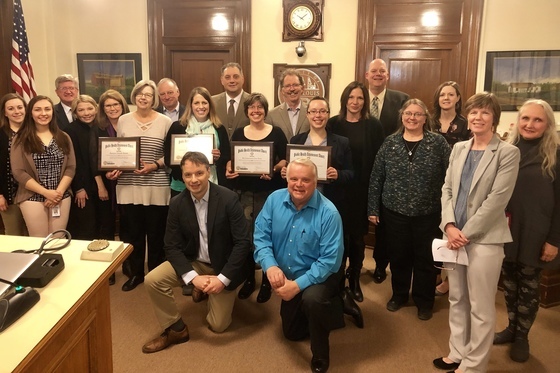 The St. Louis County Board and Public Health staff presented their 2019 Public Health Achievement Awards. The awards recognize valuable partners in the community who demonstrate a committment to improving the health of individuals, families and communities in St. Louis County.